This Black Friday weekend, readers looking for a 2015 13" MacBook Air can get a free Apple SuperDrive and 65% off AppleCare with exclusive $150 coupons. In almost all cases these are the lowest prices anywhere before the free SuperDrive. Plus free shipping and no tax in 48 states. This offer from AppleInsider and Apple authorized reseller Adorama combines the special bundle pricing links you see below, with the reseller's existing discounts and our exclusive $150 promo code APINSIDER to knock 38-68% off the price of AppleCare, then throw in an official Apple SuperDrive ($79 value) absolutely free. 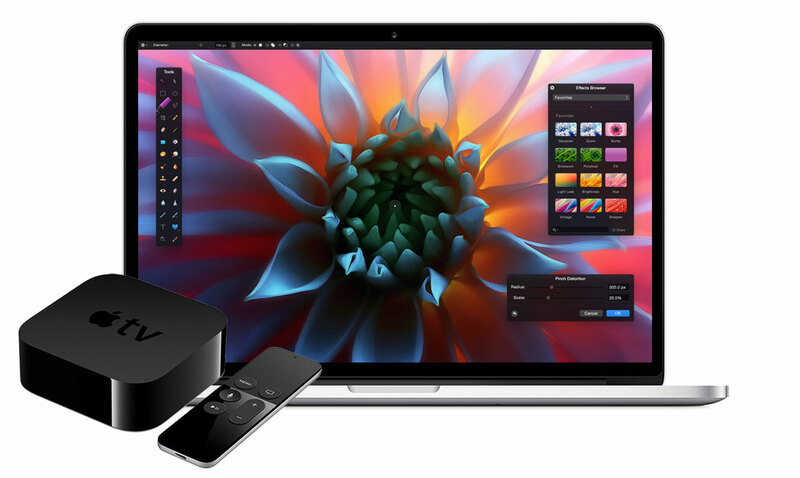 The following bundles all include one of Apple's early-2015 13" MacBook Airs, 3 Years of AppleCare extended protection ($249 value), and an official Apple SuperDrive ($79 value), plus free shipping and no sales tax collected if you live outside NY and NJ (another $90-$150 off). In total, shoppers outside NY & NJ should see total savings of $220-$350 when compared to buying from am Apple store. Included in this offer are both of Apple's standard 13" MacBook Air retail configurations MJVE2LL/A and MJVG2LL/A, which are the first 2 configurations listed below, respectively. The discounts in red are the savings compared to Apple's prices for just the MacBook Air with AppleCare. It does not include the $79 savings from the free SuperDrive or any tax savings, which would be in addition. 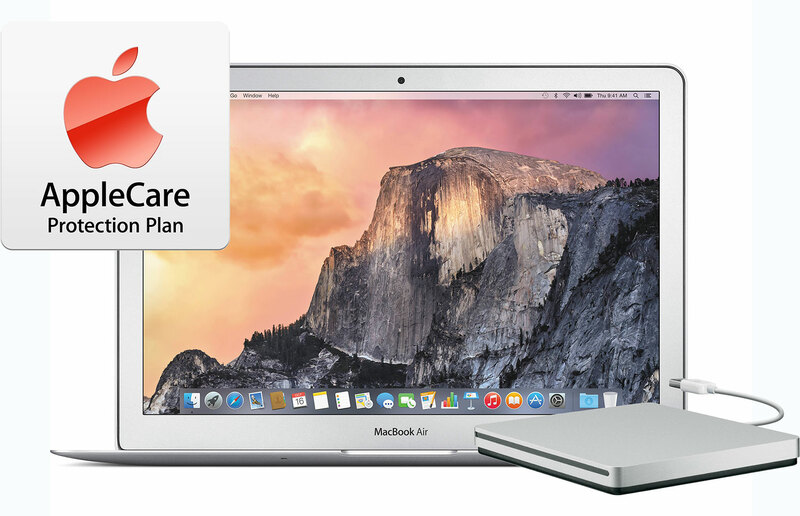 Taking a look at our Macs with AppleCare Price Guide, these Adorama discounts with our promo code are already the lowest prices anywhere on most models for the MacBook Air & AppleCare before even factoring in the free SuperDrive. A similar deal is available for all 2015 MacBook Pros that throws in a free Apple Magic Mouse 2. Please follow the step-by-step instructions below to apply the appropriate coupon codes during checkout. Please Note: The images for these bundles on Adorama's Website show a Magic Mouse in the photo, but a SuperDrive in the bundle. The Magic Mouse image is a glitch and will be fixed. Only a SuperDrive is included. % Exclusive AppleInsider reader price when applying $150 promo code APINSIDER during checkout. The discounts in red do not factor in the $79 savings from the free Super Drive, which is an additional savings. 4) Once logged in, select your mid-2015 13" MacBook + AC + SD for + SuperDrive bundle by clicking one of the pricing links in the article above (or those in the Macs with AppleCare Price Guide) —you must use these links! 5) When the Adorama 13" MacBook page loads, you'll see a price that's roughly $150 higher than advertised. 6) Add the 13" MacBook bundle to your cart anyway, and when you're done shopping, begin the checkout process. 8) After you apply the promo code, the total price should fall by roughly $150 to match the prices advertised.